Our Annual Show “Follow That Dream” will take place on the 1st & 2nd June 2019 in the TLT at 6.30pm each evening. All classes will take part in this show except the senior Drama Students and 3 year-old class on Saturday morning at 9.10am. 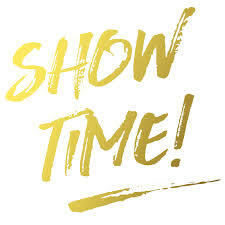 For our new parents and students, the end of year show is a huge production featuring all the Dance & Musical Theatre Kidkast students from Drogheda and Collon as well as the junior drama classes (i.e. age 4-7 years). Check out our Facebook page for video snippets of last year’s show. Each class performs a piece in the show and all classes have been working hard preparing, learning and practising over the past year. We are all really excited about this year’s show, it’s gonna be a good one! Of those taking part is everyone in both shows..? Everyone is in both shows except the students from the 4-5 years classes. Students from the weekday classes for age 4-5yrs Monday (Collon) and Tuesday (Drogheda) classes will only perform in the show on Saturday 1st June. Students from the Saturday classes for age 4-5yrs will only perform in the show on Sunday 2nd June. We will need confirmation that your child or children will or will not be taking part. This is important for the arranging of costumes, setting of the show and compiling our lists for security and safety. There is a costume and production fee of €15 per student which must be paid at reception or through the online portal which will act as confirmation of taking part. Please let us know in order to allow us time to organise costumes and placings & we will close this out on Saturday 4th May. We presume students are not taking part unless advised otherwise. Attendance at classes is extremely important between now and showtime. If a student needs to miss a class for whatever reason, we would appreciate a text, call or email to let us know. Missing an unacceptable number of classes may result in the child not being allowed to perform. We ask that students commit to both shows. It causes us huge disruption to our performance when students only do one show and it isn’t fair on the other students. We ask that all students commit to both shows or let us know well in advance so that we can plan accordingly. Remember if your child is in the 4-5 years classes make sure you have checked which show they are in before booking your tickets. Consent to photos. Stephen Doyle is our school photographer and has been capturing our shows and performances for many years. To display any photos, we require your permission under GDPR regulations. 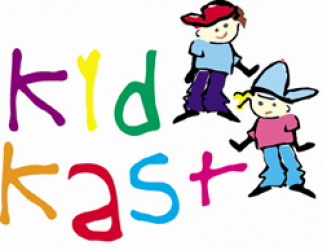 Consent can be given through our parent’s portal or by email to info@kidkast.ie. If you are emailing your consent, please use the subject “consent” and put your child or children’s names in the email body. Finally, as always, we could not do this without the help from our parents. We are looking for parents to help at one or the other show. Please note helpers will be given a group of children to chaperone and care for and not necessarily one that your child is in. If you are willing to help please email info@kidkast.ie with your name and the name of your child and also which night you are prepared to help on. Please do not offer to help on the evening you intend watching the show.